small matters: If Foxes are the new Owls, what are the new foxes? If Foxes are the new Owls, what are the new foxes? 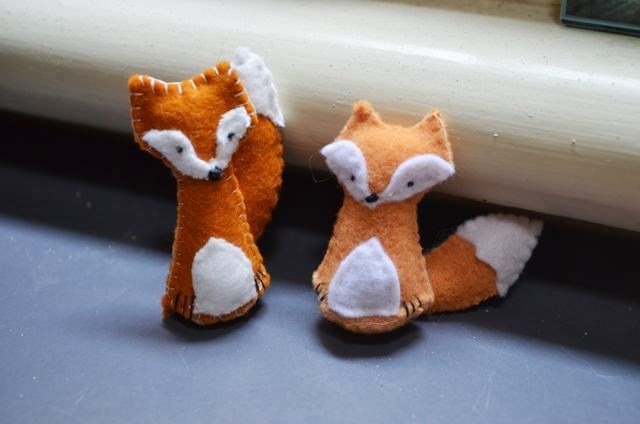 Apparently Owls have been replaced by Foxes as the crafty icon de jour. That article is a bit old now and foxes have probably now been shuffled out of the spotlight and replaced by some other cute woodland creature. 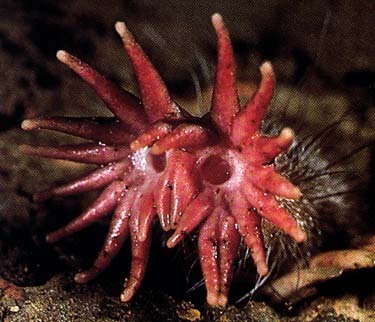 It probably won't be a star nosed mole. Maybe a raccoon? On our trip to New Zealand last year we heard much about the devastation wrought by the introduction of brush tailed possums to that country. About a century ago a couple of chaps had the bright idea to start a fur trade in NZ and imported possums for the project. Don't you already know how this story ends? Just like the importation of rabbits, and cane toads, what seemed like a good idea proved to be anything but. In our Melbourne backyard the possums irritate us by taunting our dogs and shitting on our car, but in New Zealand, land of birds and reptiles, the formerly vegetarian possum has begun stealing eggs from nests as their population explodes and they compete for food sources with the indigenous fauna. Possums are adorably cute, until you start viewing them as predators. So too, are foxes. They are everywhere crafty right now, and who doesn't love those pointy noses, gorgeous colouring and bushy tails? But foxes are to Australia what possums are to NZ. Do you remember those furry friend chocolates? Back in the day, when the chocolate bar was wrapped in silver foil and came in a paper sleeve, the wrapper provided information about the animal featured. You know the sort of thing - habitation, diet, population, threat to species. Nearly every animal featured - bilbys, bandicoots, sugar gliders, the black footed wallaby - was under threat from cats and foxes. 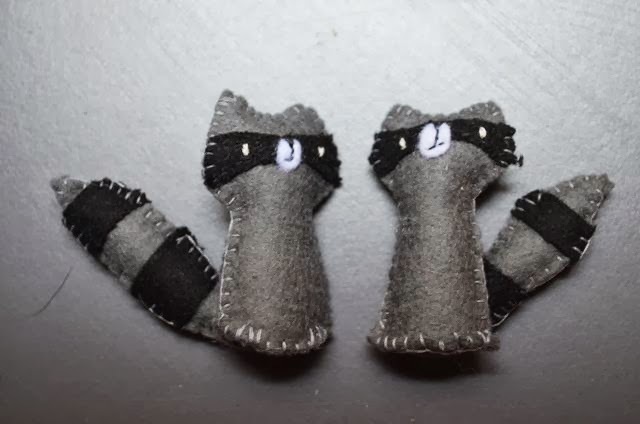 I'd love to make some little felt ring tailed possums, some bilbys or bandicoots - koalas would be a bit hackneyed, I think - too adorably cute for their own good. 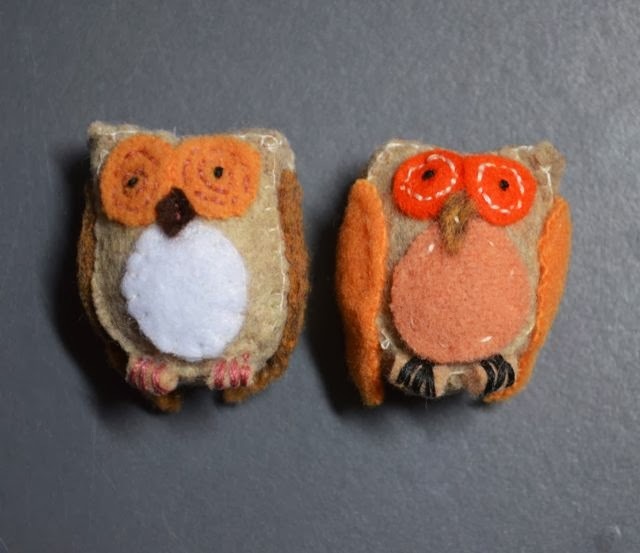 But instead I've made owls and foxes and raccoons. Perhaps it is just that other countries' cute animals are more exotic and therefore more appealing. Or perhaps it's just that we have seen so many representations of Northern Hemisphere fauna - squirrels, bunnies, deer - that rendering them in felt or other media is much easier. I confess I'm not sufficiently familiar with the bilby to be able to make an identifiable one. It would likely look like a weird rat. Nevertheless, my challenge is to start making a few indiginous fauna as well as their adorable exotic counterparts. Let's see how I go. I must confess that I'd never heard of a bilby before and I had to google it. While I'm slightly terrified of them, I would love to see something unique to the Southern Hemisphere. Or at least something that doesn't exist in North America. By the way, you reminded me why I stopped reading Apartment Therapy. I can't keep myself from reading the comments and they are something else!